Get ready for National Youth Week! FEDERAL Member for Gippsland Darren Chester would argue that most people have never sat down with an Aboriginal person for a cuppa or some lunch. He has challenged Gippslanders to do just that outside of a professional context, after the 2016 Closing the Gap report highlighted areas of little-to-no progress. “We need to extend the hand of friendship to each other and meet more as equals in an everyday life situation,” Mr Chester said. Mr Chester believes it is high time governments stepped away from imposing “so-called solutions from Canberra” and instead focused on localised solutions. 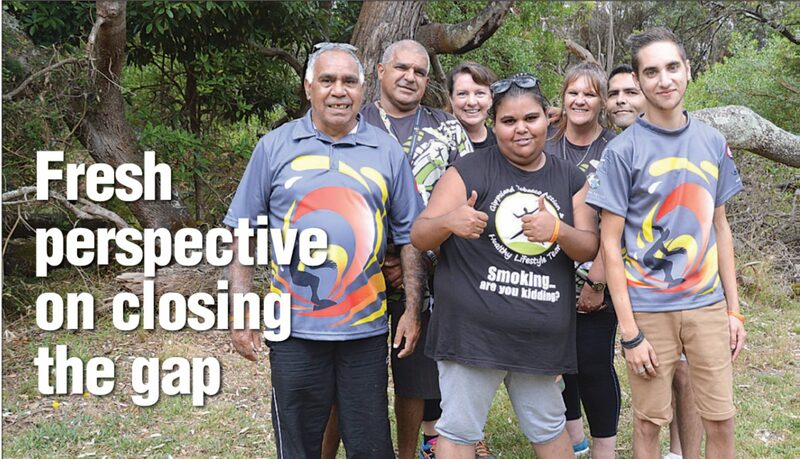 He pointed to a Gippsland initiative targeting Aboriginal and Torres Strait Islander people to help reduce their smoking rates – the No Butts Yarning Group. A staggering 40 per cent of Aboriginal people still smoke across Australia, more than double the rate of smoking among Australia’s non-indigenous. But the Gippsland Tobacco Action and Healthy Lifestyle Team has received promising results from its 2015 pilot project, with 18 participants either quitting or cutting down on smoking. The Federal Government has further funded the program, which will this year start rolling out in several communities across Gippsland. Mr Chester said these localised initiatives were essential in allowing indigenous people to talk to and support indigenous people. “Not other parts of the community telling them what to do,” he said. Upon highlighting in Parliament that national targets of school attendance were not on track, Mr Chester told The Express this could be achieved with positive experiences at school. He said ensuring children were healthy and ready to learn by prep or grade one would lead to an appreciation for education and a path to future employment. He highlighted simple initiatives such as breakfast programs that provided supportive environments as well as individualised programs that tried to engage students in their learning. Regardless of the community’s location, Mr Chester said the closing the gap challenge existed across the nation. “Now it’s a journey we need to do together,” he said. communities saying these are our troubles, these are our concerns, these are our problems and these are some of the solutions. The 2016 Closing the Gap report shows Australia is on track to halving the gaps in the indigenous child mortality rate and year 12 attainment by 2018. Targets to halve the gaps in reading and numeracy among indigenous students show mixed progress, while employment and life expectancy in the same period are not on track. COMBINING a cultural yarning circle with proven techniques to beat nicotine cravings is the essence behind a Gippsland initiative aiming to reduce smoking rates among indigenous people. The No Butts Yarning Group kickstarted last year on the back of a Gippsland Tobacco Action and Healthy Lifestyle Team campaign to help Gippsland’s indigenous quit smoking. 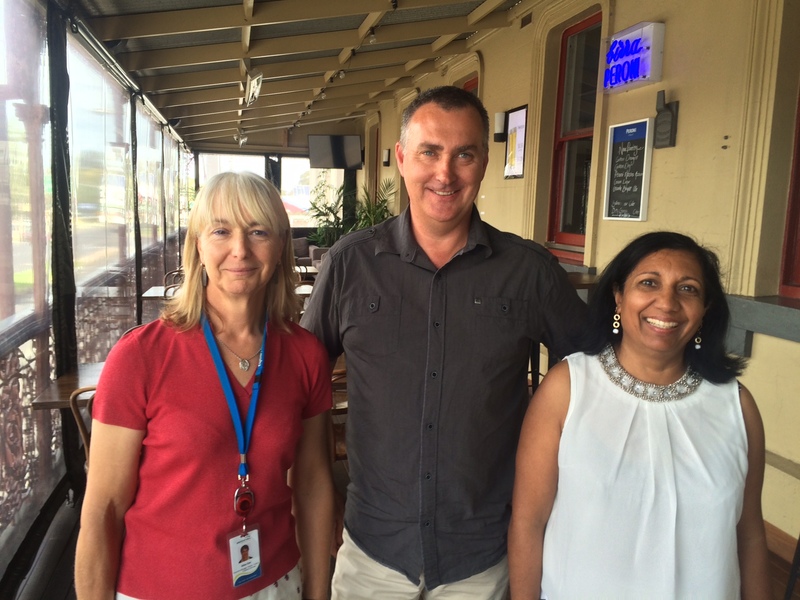 Its 18 participants – who took part in the 12-week pilot project in Bairnsdale and Lakes Entrance last year – either significantly cut down their smoking or quit the habit altogether. Now more of Gippsland’s Aboriginal and Torres Strait Islander people are set to benefit from the program after the Federal Government extended its funding for a further two-and-a-half years. “What we’re aiming to do is teach people specific skills and knowledge to make their quitting easier,” GTAHLT regional coordinator Leanne Stedman said. The additional funding has allowed GTAHLT to employ five new Aboriginal staff members to help deliver a repackaged program. The team has just completed its four-week, “new and improved version” at the Gunaikurnai Land and Waters Aboriginal Corporation. Over four weeks participants learn of medications that assist with quitting and how to use them, nicotine replacement therapy and supportive environments that make quitting easier. Breaking routines and responding to stress are other focuses of the program, along with the four Ds: Delay, Deep breath, Do something else and Drink water. Each session is complete with a yarning circle facilitated by the Aboriginal staff; a “culturally appropriate space where people can share their experiences and support each other”. “Getting support is one of the biggest factors in a successful quit attempt,” Ms Stedman said. “I think it’s difficult for a lot of Aboriginal people to engage really effectively with mainstream health organisations. GTAHLT staff are available to run programs in community facilities or organisations across Gippsland. For more information, phone the Lakes Entrance Aboriginal Health Association on 5155 8465 and ask to speak with Leanne Stedman. Pictured: Gippsland Tobacco Action and Healthy Lifestyle team includes Lennie Hayes, Alan Coe, coordinator Leanne Stedman, Chantelle Mobourne, Karen Maggs, Paul Patten and Buddy Gordon. Absent from the photo is tobacco treatment specialist nurse Carolyn Alkemade. National Youth Week funding success! 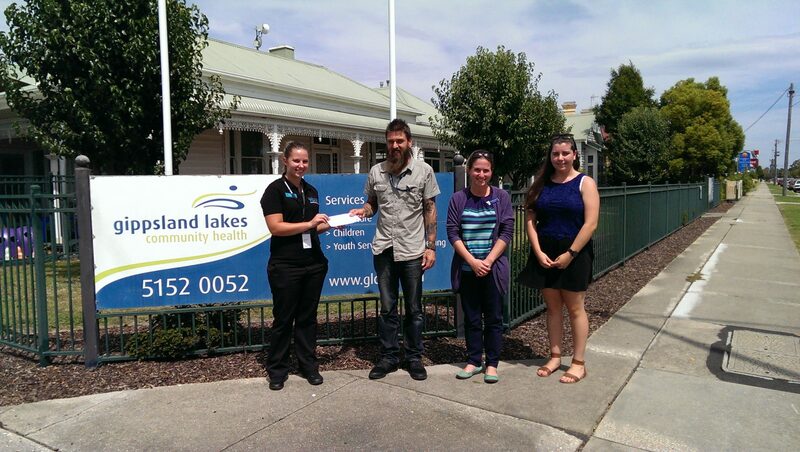 Gippsland Lakes Community Health (GLCH) was one of 115 successful Victorian organisations to receive a National Youth Week (NYW) grant from the Victorian and Commonwealth Governments to help fund a local youth festival in April. The Youth Focussed Network (YFN) is governed by the YFA which includes representatives from GLCH; Federation Training; Gippsland and East Gippsland Aboriginal Co-op; East Gippsland Shire Council; Department of Health and Human Services, Victorian Government, the Victorian Police; The Smith Family; and SNAP. The YFA work collaboratively to develop strategies to deliver improved outcomes for young people in East Gippsland and provide greater support and opportunities, including NYW events. “National Youth Week is an occasion to celebrate being a young person growing up in East Gippsland, and for that reason we encourage youth from all local areas to keep an eye out for events in their area and join in the fun,” added Mr Cooper. National Youth Week 2016 will be held from 8 April to 17 April 2016. Pictured left to right: East Gippsland Shire Council Youth Ambassadors Chair, Michelle Perry; Youth Focussed Alliance Chari, Ben Cooper; Youth Focussed Network Chair, Amelie Boucher and Harriet Sheehan, Community Development work placement student. Addressing family violence requires an integrated and collaborative response from government and non-government service providers. In 2011, the Department of Health and Human Services began investigating coordinated multi-agency approaches to strengthening family violence risk management. Strengthening Risk Management Demonstration Project pilots were established in Victoria in June 2011. As a part of these pilots, the Risk Assessment and Management Panels (RAMPs) were set up and tasked with identifying and responding to families at high risk. RAMPs meets monthly, and more often if necessary to develop targeted action plans to reduce specific risks and support the continued case work of professionals with individual clients. “Under the RAMP model, member agencies propose high risk cases for other agencies to consider. Participating government and non-government agencies present information about the cases and the panel works together to develop an action plan to reduce the risk to affected family members. Cases are later reviewed and discussed at subsequent meetings,” Ms Mendis continued. The core members of the Outer Gippsland RAMP include lead agency, Gippsland Lakes Community Health (GLCH); Victoria Police; Community Corrections; Department of Housing; Child Protection; and local mental health, alcohol and drug, ChildFIRST and Men’s Behaviour Change services. Representatives from these services will attend all meetings. Associate members from other agencies who have particular knowledge of a case attend on a needs-basis. The Panel meetings are jointly chaired by Ailsa Carr, Executive Manager of the Family, Youth and Children’s Services Unit at GLCH and the operations support inspector for the eastern region of Victoria Police. GLCH looks forward to driving the Outer Gippsland RAMP and believes that it will contribute significantly to prevent or reduce the number of incidences of women and children getting seriously assaulted because of family violence in the region. Any service provider working with victims of family violence or women and children identified ‘at risk’ of experiencing family violence are encouraged to make a referral to Ms Mendis who is based at GLCH’s Bairnsdale premises.